Wheels of Wellness is an interdisciplinary collective compromised of clinicians who are dedicated to a common vision. These professionals provide behavioral assessments, consultation, social skill facilitation and group therapy to children and families. This group is for school-aged children who need additional support with coping strategies, self-regulation and social and emotional development. The group provides high level social scaffolding and emotional coping and problem-solving skills via facilitated play/naturalistic opportunities. This group will meet one time per week on Tuesdays. It will meet from 4:30 PM to 5:30 PM at our San Mateo clinic. This group has open enrollment. This program is for young children that need support in developing their social and emotional skills. Our young child group provides facilitated social opportunities in a therapeutic environment for your g children who are struggling with various social and emotional concerns. Participants will have the opportunity to meet new peers, practice sky social skills and learn to cope when situations don’t go their way. This group will meet one time per week on Tuesdays. It will meet from 3-4 PM at our San Mateo clinic. This group has open enrollment. Offers pre-school aged children an opportunity to develop and practice pro-social skills through fun, interactive play. Social-emotional concepts, such as identifying feelings, flexible thinking, and problem solving are embedded into each facilitated session, giving children a natural opportunity to practice new skills and strategies. Ideal for children who currently have difficulty making meaningful connections with peers or who need help with reading social cues, becoming more flexible, learning to share/take turns, etc. This group is for girls who struggle with developing friendships and need safe place to practice social skills. This group meets on Tuesday evenings from 5:45-7:00 pm. 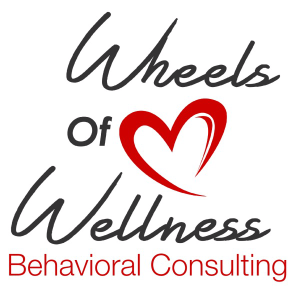 For more information about this group please contact Heather Batalden directly at: heather@wheelsofwellnessconsulting.com.